Let’s be honest. Theme parktopia is a crazy place. Giant turkey legs, adults in princess costumes… it can leave you looking for something more. Don’t worry, we’ve done the work for you. 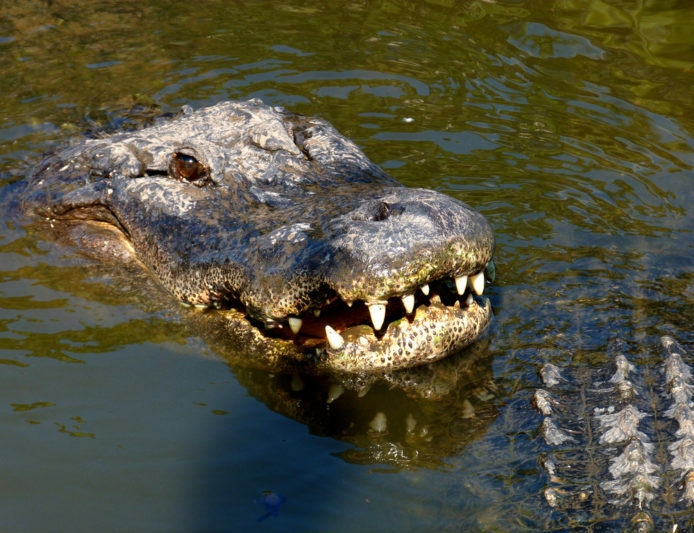 Check out Gatorland, Orlando’s alligator theme park and wildlife reserve, because what’s more Florida than a pit of hungry gators? Post-game with a Landshark or two, so you don’t cross that line where it seems like a good idea to stick your hand in a gator-infested swamp. The Screamin’ Gator Zipline: This fast-paced zipline flies you straight over Cuban and Nile crocodiles. Takes “don’t look down” to a new level. Adventure Hour: Head to the Alligator Breeding Marsh to chill with a bunch of giant, hungry gators. Prime selfie ground. Trainer for a Day: Hold a bunch of baby alligators, and train them to fight for their lives against other baby alligators. And just so you’re not disappointed – there’s no baby gator fighting ring but we’ve got something better in store. The ultimate play? Get down with Rookie Wrestling. A trained professional will spot you as you literally wrestle an ornery alligator, by yourself. Or, an ornery professional will help you wrestle a trained alligator. We suggest you let a Landshark (land-gator?) give you some confidence. Either way, win win.